The Leaf Monogram Watch Box is a perfect gift for the man who has everything! 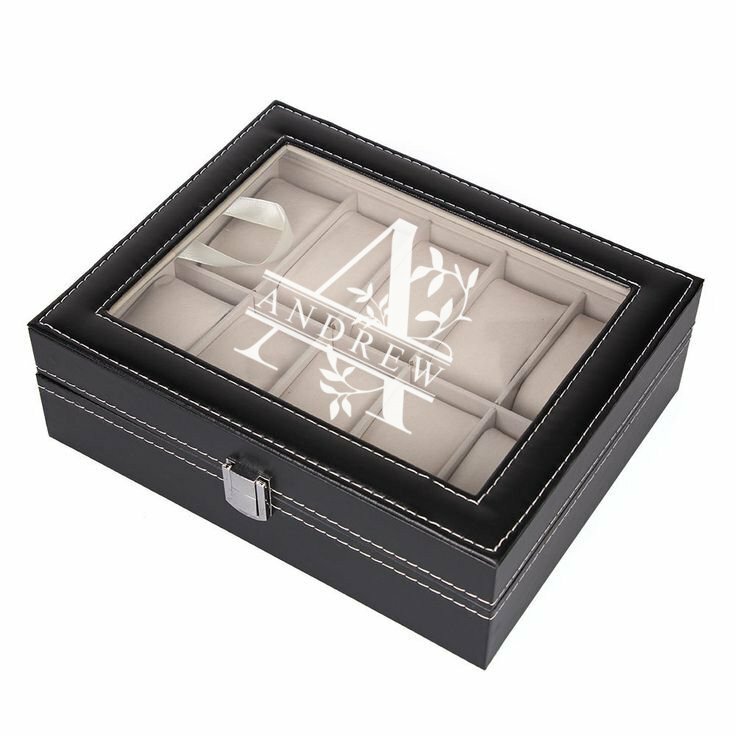 It is a wonderful gift to the groom, father, or perhaps your best man, complete this watch box with his name displayed with white etching in a sophisticated leaf monogram design. The Leaf Monogram Watch Box has 10 slots with cream colored cushioning, to hold one watch per slot. The box closes with a metal clasp, and opens with a white satin bow as support. This watch box can be personalized with white etching to serve as a special keepsake.